Everyone knows that the best ornaments on the tree are the ones that sparkle. They catch your eye and make you feel like this is the most wonderful time of the year. 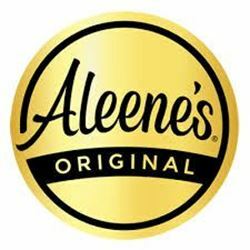 This year why not try to make your own Glitter Ornaments with Aleene’s Glitter Coat Adhesive. 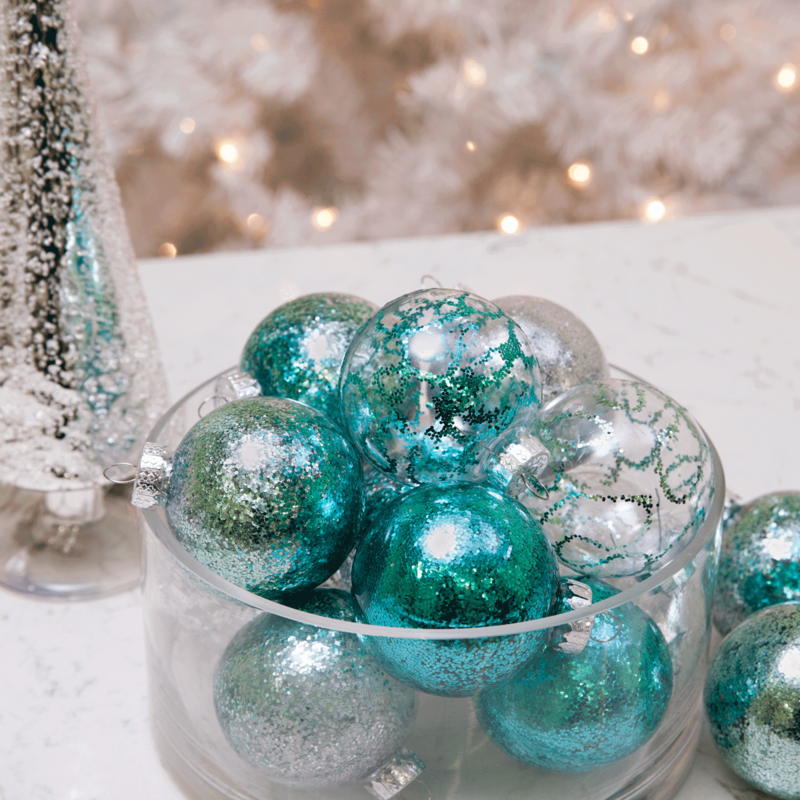 Here are 3 ways you can make your Christmas sparkle. This one is super easy but sparkles just the same. For this ornament, start off by removing the hook from the top. Then fill the inside with the glitter adhesive. 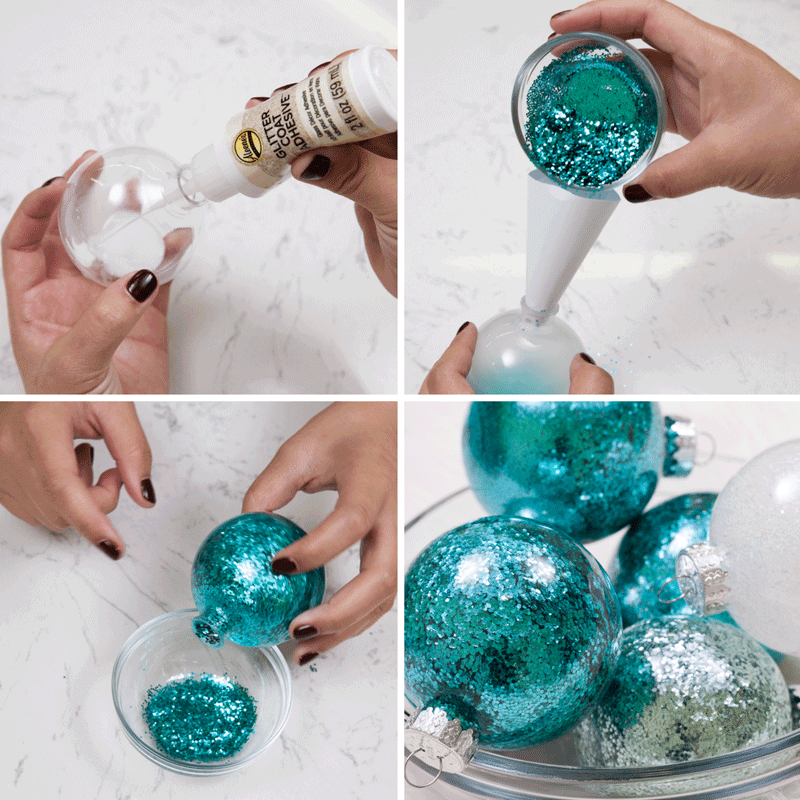 Pour the glitter color of your choice inside the ornament and roll around until the entire inside is covered. Once it’s covered, put the hook back on top. First we have the ombre glitter ornament. Ombre is such a huge trend from hair to make up and now crafts, we couldn’t resist! Take the plastic ornament and remove the hook. Then apply the adhesive to the entire inside of the ornament. 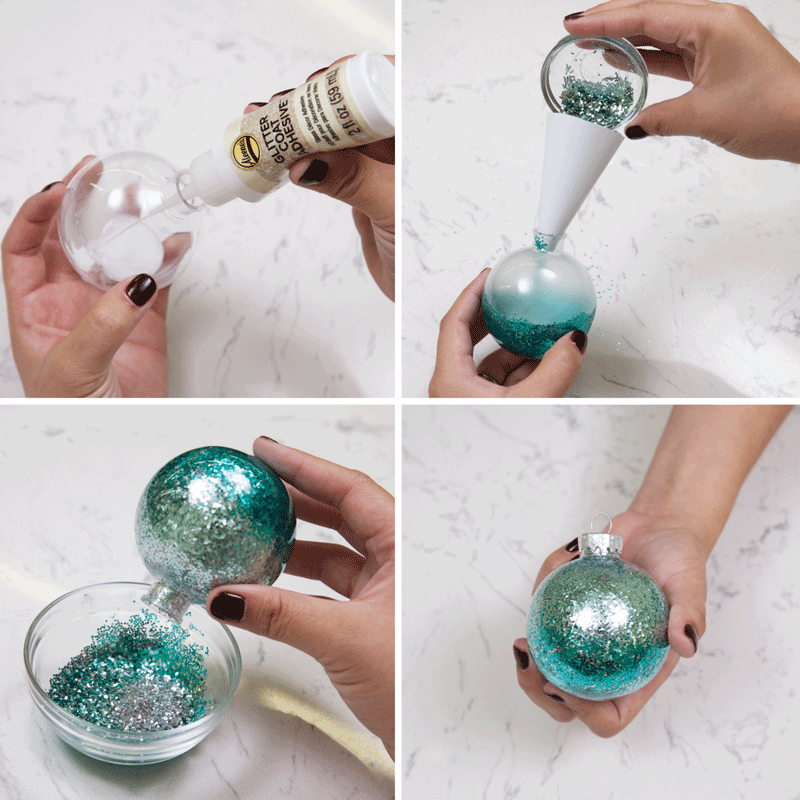 Take one of the glitter colors and pour it inside the ornament. Roll it around until it covers the bottom half of the ornament. Next take another color, either lighter or darker, and pour it in the ornament. Try to keep it towards the top half of the ornament. Again, roll it around until the ornament is covered. 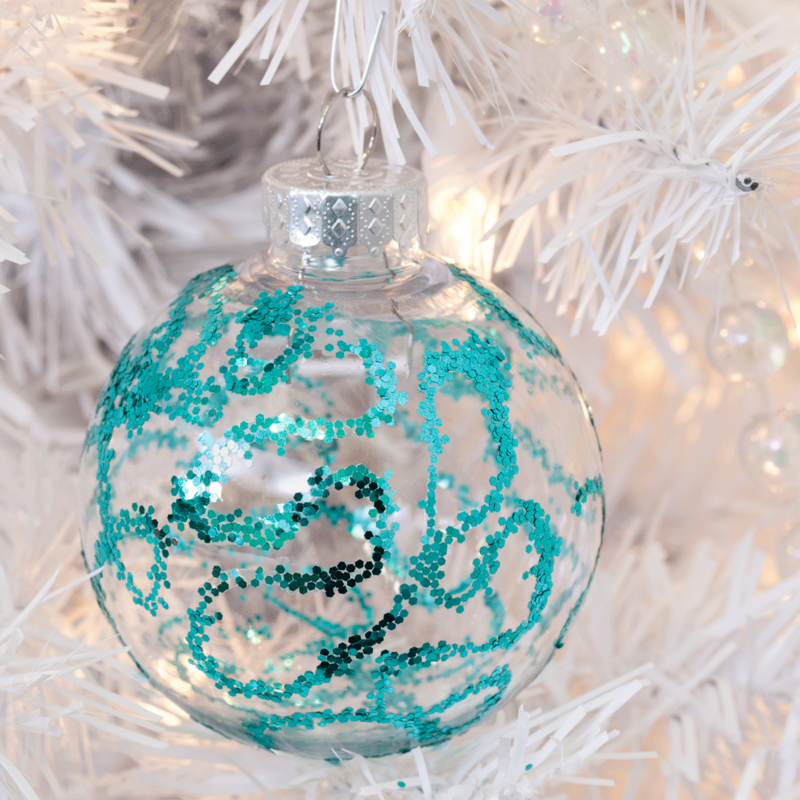 Place the hook back in and now you have an ombre glitter ornament. This ornament allows for a little more creativity as you get to create swirls or designs of your choice. 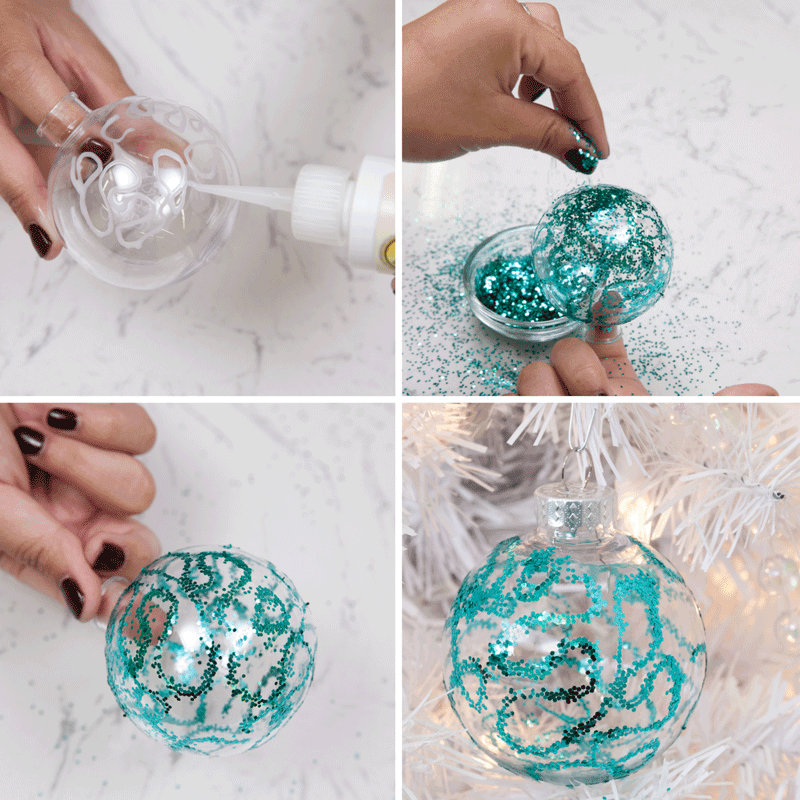 All you need to do is freehand the swirls on the outside of the ornament with the glitter adhesive. 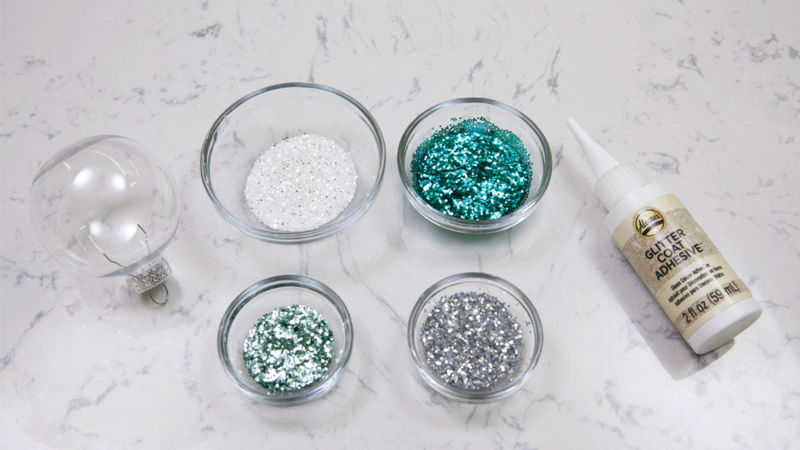 Then with the color of your choice, sprinkle glitter over the adhesive to create a dazzling design. We hope you fill your tree with all the glitter ornaments you can make. Be sure to use the glitter coat adhesive to create name ornaments or write your favorite holiday words. Your tree is sure to catch everyone’s eyes this holiday season. These don’t have to go on the tree. Put them in a bowl and create a great center piece for your living room coffee table. They also make great gifts!